It's a staple of this Sunday feature: Sunset from a ball park. I run one every year. It never seems to get old. In 1999 the Twins drafted right handed pitcher Travis Bowyer in the 20th round. In 2001 they drafted Scott Tyler, also a right-handed pitcher, in the second round. Tyler never got above Double A, but Bowyer reached the majors for eight appearances in 2005. The Twins traded the two after the 2005 season to the then-Florida Marlins for veteran second baseman Luis Castillo. 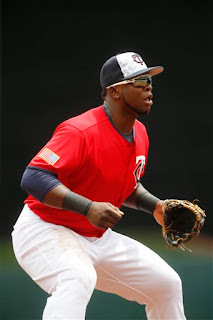 Castillo was one of the "Piranhas" in 2006; in 2007, with the team out of contention and Castillo approaching free agency, the Twins shipped him to the New York Mets for two minor leaguers, outfielder Dustin Martin and catcher Drew Butera. Martin is still active, playing this year in the Mexican League, but he has not reached the majors. Butera caught for the Twins 2010-13, then was traded to the Dodgers in a deadline deal for Miguel Sulbaran, a left-handed minor league pitcher. The following spring, 2014, acting general manager Rob Antony (filling in while Terry Ryan recovered from his cancer treatment) traded Sulbaran to the Yankees for Eduardo Nunez. Sulbaran reached Triple A last year but has not appeared in a game at any level for any team this season. Nunez, as we know, was a reserve player for the Twins in 2014 and 2015 before emerging as a superutility regular this year, starting games at shortstop, third base and second base and gaining the Twins' All-Star roster spot. As we also know, he was traded Thursday night to the Giants (Antony again) for Adalberto Mejia, a left-handed minor league pitcher. And the future will tell what Mejia will do -- or be turned into. This has not been a highly productive trade tree. The Twins have gotten a little more than two seasons of leadoff hitting (Castillo in 2006 and more than half of 2007 plus Nunez this year) and a handful of bench seasons (Butera and Nunez). But it's been more than 17 years since the Twins drafted Bowyer, and that move is still faintly echoing in the system. Labels: Adalberto Mejia, Drew Butera, Dustin Martin, Eduardo Nunez, Luis Castillo, Miguel Sulbaran, Scott Tyler, Travis Bowyer. Rob Antony pulled the trigger on a trade Thursday night, shipping the Twins' token All Star, Eduardo Nunez, to the San Francisco Giants for Triple A lefty Adalberto Mejia. Mejia is 23. Baseball America lists him as No. 91 in its midseason prospect ranking, No. 5 in the Giants organization. That's a pretty decent return for a 30-year-old whose breakthrough season seemed to be decaying even as the Twins shopped him around. Mejia is, right now, rotation depth. He projects, apparently, as a back-of-the-rotation guy, and there's genuine value in that. He may or may not be in the majors by September (he opened 2016 in Double A), but he might be. If nothing else, he further frees up Antony to deal one or more of the current major league starters. Meanwhile, Jorge Polanco is getting called up to take Nunez' roster spot. I'd like to see him get regular playing time, but ... he's been playing second base in Rochester, and that makes sense because that's his best position, and that's Brian Dozier's spot. The only game Polanco's played at short in 2016, it appears, was with the Twins. We'll see what the Twins have in mind for Polanco, but I suspect that trading Nunez mainly opens up playing time for Eduardo Escobar. The Giants, whose lead over the Dodgers in the NL West has slid to two games, just brought second baseman Joe Panik off the disabled list, but third baseman Matt Duffy is still on the shelf. 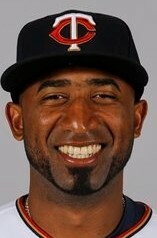 The plan is for Nunez to fill in for Duffy until his return, then be a utility man. Yogi Berra and Gabby Hartnett -- or a lot of other people. The Twins this month have seen a number of survivors of the 2002 Twins: Kyle Lohse with the Texas Rangers, David Ortiz with the Boston Red Sox, and this week A.J. Pierzynski with the Atlanta Braves. Ortiz, having a big season, has declared, repeatedly, that this is his final season. Lohse made two starts with Texas this month (one against the Twins), fared ill in both, and has now been designated for assignment; it's possible that he's had his last chance. 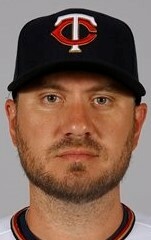 And the 39-year-old Pierzynski, who hit .300 last season for the Braves, is hitting a career-worst .215 this year. 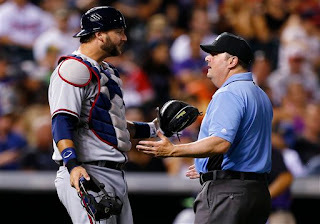 I've commented before on the remarkable durability and longevity of Pierzynski, who now stands ninth all-time in games caught and will match Jim Sundberg for eighth the next time he squats behind the plate and flashes signs to a pitcher. He has a realistic chance of rising to sixth before the end of the season (ahead of him are Brad Ausmus and Tony Pena). But ... for next year, he'll be a 40-year-old catcher coming off a bad year at the plate. This may be his last season too. We may be seeing the end of the 2002 Twins. Johan Santana apparently hasn't abandoned his ambitions of returning, but he hasn't taken the mound since 2012. LaTroy Hawkins, Michael Cuddyer and Torii Hunter hung 'em up after last season. Lohse, Ortiz and Pierzynski are all that's left from that legendary (at least in Minnesota) squad. That realization makes me feel as old as I am. Nice game Tuesday for Ervin Santana. Can't say the same for the Twins hitters, of course, but Santana knocked his ERA under 3.80 with the complete game. Rob Antony. the interim GM, has said he's not actively shopping the veteran starter as the trading deadline approaches. If Antony is being honest when he says he's not under orders to pare the payroll, I'm fine with that. The Twins need to open a rotation spot for Jose Barrios, but I'd rather open that slot at the end of the rotation than at the head of it. That said, the clamor for Ricky Nolasco's services is somewhat less than deafening. The @Twins announced today the franchise has retained Korn Ferry to assist the team in its search for new baseball operations leadership. This search firm reportedly comes highly recommended by the owners of the Blue Jays and Brewers, who used it to hire their GMs last offseason, and the Timberwolves used it in the process of hiring Tom Thibodeau. I doubt any basketball fan needed a search firm to identify Thibodeau; the guy the Jays hired had worked with Mark Shapiro in Cleveland; David Stearns was widely known in the industry as an up-and-comer. I'm skeptical that the firm added any real value to the outcomes of those hires. Mike Berardino offers this 10-man list of outside candidates. Not on his list, for whatever reasons, is Kim Ng, who I've seen named elsewhere. Kurt Suzuki caught Tuesday, three days after getting seven stitches in his chin. I mention it with a sense of incredulity. But as far as the Cubs are concerned, Chapman really only has to behave himself for three months or so. Then he becomes a free agent. The Cubs are willing to overlook his character flaws in pursuit of their first World Series title since 1908 and their first World Series appearance since 1945. The Cubs are 55-1 going into the 9th with lead, 53-1 going into 8th, 53-5 into 7th. The upside for *any* reliever add is limited. The Cubs have fallen off their early-season pace not because of its lack of stars in the bullpen but for other reasons. Example: Ace Jake Arrieta allowed four runs in six innings Monday night; it was the fourth time in five starts he's allowed that many runs. His ERA has risen from 1.74 to 2.76 in that span. 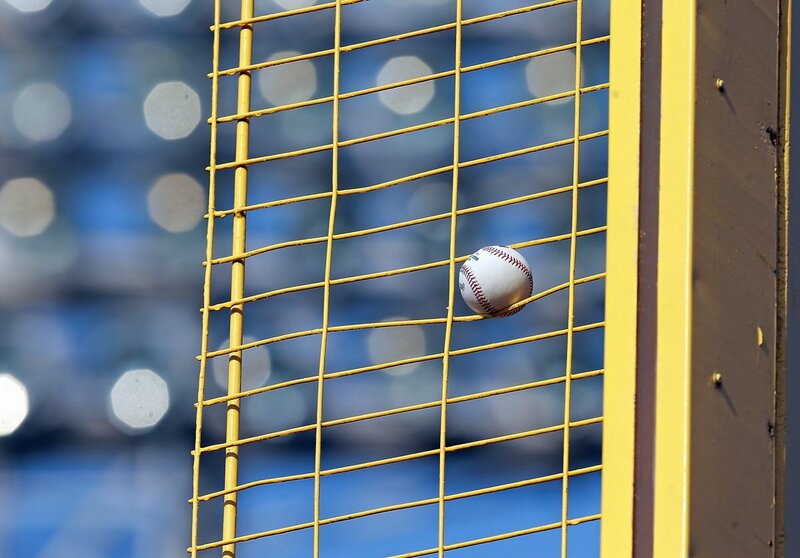 Still, it's the bullpen that the Cubs are aiming to beef up. Chapman is the second lefty reliever the Cubs have traded for -- they got Mike Montgomery from the Mariners for a couple of prospects last week. And Old Friend Joe Nathan, back from another Tommy John surgery, made his first appearance of the year Sunday and struck out the side against Milwaukee. Nothing's certain about Nathan, of course; he's 41 and there's a lot of mileage on his arm. But if he is sound again ... well, he and Chapman and Hector Rondon (1.95 ERA with 18 saves) look like a pretty darn impressive crew for the late innings. If Nathan is sound. 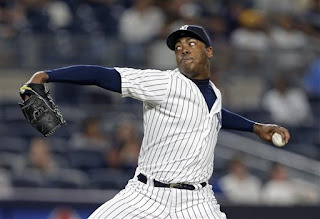 If Chapman behaves himself, If, if, if. The Twins certainly had an odd series in Boston: One pitchers duel, one blowout, two close high-scoring affairs, and a series split. Good: Kyle Gibson was stellar Friday night: two hits and a walk in eight innings, with six strikeouts. He also had a pair of wild pitches with Juan Centeno behind the dish. And he knocked almost a half-run off his ERA (5.12 entering the game. 4.67 exiting it). The analytics issue with Gibson is easily identified: A low strikeout rate. This year he's averaging 6.4 K/9, slightly down from 2015. There are times when he appears to be able to use his changeup as a strikeout pitch; other times, not so. Bad: Miguel Sano's error rate at third base is ridiculous. He's been charged with 10 errors in 15 games since July 3, and he's had other make-able plays go unmade that were ruled hits. This audition at the hot corner while Trevor Plouffe recovers from his cracked rib is making the right field experiment look less silly by the day. I didn't expect him to be Brooks Robinson, or even early Corey Koskie, at third base. I find it difficult to believe that he's this awful, but the evidence is mounting. he's expected to be available to catch Tuesday, their next scheduled game. I'm no physician or trainer, but neither of those make much sense to me. batting practice Thursday before facing the Twins. This photo was one of several that crossed my Twitter feed. It's from the Boston Herald's Matt Stone. Well, it didn't take long to find out who the new long man in the Twins bullpen is. Tyler Duffey didn't get out of the third inning in Fenway (the Red Sox can do that to a pitcher), and Michael Tonkin was the first man out. He got as many outs as Duffey did (seven) and yielded five fewer runs. Trevor May got two innings in, and didn't fare all that well (three hits, four runs). I keep talking about switching him back to the rotation, but right now I suspect there's still something physically wrong with him. I highly recommend this piece from David Ortiz about his early days with the Twins today on the Players Tribune site. I almost hate to link to it because I'm sure I'm going to steal some of these stories for the Sunday Funnies this offseason, and why spoil the jokes now? Well, because Ortiz has a serious point to make early on about Latin players and the cultural-language gap. Advance warning for those of you who visit this site daily expecting to see something new. Not happening Saturday. If the Twins make a trade Friday (or Saturday) I'll comment on it here Monday. I already have the Monday print column written (on the firing of Terry Ryan) and a Pic of the Week lined up to post Sunday morning, but I'm traveling this weekend and have decided to forgo packing the laptop. So ... Wednesday's game was tied after eight innings, and when the Twins were hitting in the top of the ninth, Fernando Abad started warming up. Then Max Kepler homered -- and Abad sat down and Brandon Kintzler started to loosen. Why? Obviously, because it was now a save situation -- and Brandon Kintzler, with or without a public declaration from manager Paul Molitor, is now the closer. This was, really, a more decisive announcement than saying something to the beat writers. Managers frequently say one thing and do something else. This action spoke loudly. The Twins made a small adjustment to their bullpen after the game, announcing that Neil Ramirez had been outrighted to Rochester -- meaning that he'd cleared waivers -- and Buddy Boshers had been recalled. I registered a mild beef when Boshers was optioned out earlier this month, but I also predicted he's be back before August. And so he is. Boshers gives the Twins three lefties in their seven-man bullpen: Abad, Taylor Rogers and Boshers. The righties are Kintzler, Trevor May, Ryan Pressly and Michael Tonkin. I don't know who Molitor considers his long man in that crew, but this formulation is unlikely to survive the month anyway. Tommy Milone took a one-hitter into the ninth inning Tuesday, He didn't get the shutout; he didn't even get through the ninth. But it was still undoubtedly the best start of his Twins tenure. He's now had three decent starts in a row, although the previous two were six innings and five innings -- not exactly working deep into games. The radio guys were, of course, talking all through the middle innings about Milone's difficulties earlier in the season getting through the fourth and fifth innings. In his first six starts, he got through the fifth exactly once. But in his most recent three starts he's pitched 19.1 innings with five earned runs -- a 2.32 ERA. His ERA has dropped from 6.23 to 4.71. That's not a good ERA, to be sure. But the Twins have given starts to nine different pitchers, and only Ervin Santana and Milone have ERAs under 5. In Minnesota, this was overshadowed by the firing of Terry Ryan, but a federal judge on Monday sentenced Christopher Correa, former scouting director of the St. Louis Cardinals, to 46 months in prison for repeatedly hacking into the Houston Astros' player evaluation data base. Now we'll see how hard Commissioner Rob Manfred hits the Cardinals for this violation. Earlier this year Manfred stripped the Boston Red Sox of five prospects and banned them from signing any international free agents in the current signing period for violating the signing bonus rules. It was a pretty harsh penalty. I think that the Correa case is ethically worse than the Red Sox case, but that's just me. However ... by hitting the Red Sox, Manfred was punishing an team whose owners were opposed to his elevation to the job. The Cardinals' principal owner was, in contrast, very much in favor of Manfred for commissioner. It's easy enough to be hard on one's political opponents. Let's see how Manfrec handles his allies. Fun with small sample sizes: Cory Provus talked quite a bit during Tuesday's game about the Tigers' problems with outfield defense. Meanwhile, Max Kepler was charged with his third error in right field. My sense of things is that the current Minnesota collection of outfielders is pretty good defensively, I wouldn't play Danny Santana in center as often as Paul Molitor does, but basically, the five outfielders (Byron Buxton, Robbie Grossman, Kepler, Eddie Rosario and Santana) all have at least marginal center field speed, with Grossman probably the slowest of the five. Anyway ... I took a look early this morning at Kepler's defensive metrics as listed on Baseball Reference. He rates better in Total Zone than in Runs Saved in right field (366.2 innings), but above average in both. But I had to smile at his centerfield ratings. He's had one start in center with three other appearances, a total of 21 innings. By Total Zone, he was slightly below average in those innings; by Runs Saved, he was awesome, on pace for 51 runs saved over the course of a season. Twenty-one innings means nothing in an evaluative sense, of course, but that's a wide range of variation. So Terry Ryan is out, fired as the head of the Twins baseball operations. Rob Antony, his assistant, takes over less than two weeks before the trading deadline. That Ryan is out isn't all that shocking. I thought there was a 50 percent chance that he was going to leave, either of his own volition or because Jim Pohlad meant it in April when he ascribed the major league team's horrific start to a "total system failure." But I thought that departure, if it came, would come in September, or at least after the trading deadline. Ryan's firing makes sense only if Pohlad and the others atop the organizational pyramid intend to revamp the baseball side. Pohlad and team president Dave St. Peter said Monday that Antony was not ruled out for the permanent position, but really ... the best reason to dump Ryan would be the ingrown nature of the team's front office. Elevating Antony would do little if anything to address that. Pohlad said the new general manager would have to accept Paul Molitor as his manager in 2017. The wisdom of that edict is debatable, but I doubt that somebody who really wants the job and is a good enough candidate to get a multi-year commitment from the Pohlads would let one year of an incumbent manager get in his way. It has been said often of managers: They are hired to be fired. That applies, in most organizations, to pretty much everybody. Managers, scouts, coaches, minor league staffers ... and general managers. The new GM comes in and sweeps a big broom and installs his own people -- and in many cases, in four years or so, a fresh GM is installed with an equally big broom. Nobody on the baseball side is safe when there's a new sheriff. The Twins have avoided that for almost 30 years. 1986 was, really, the only big broom in franchise history, when Andy MacPhail took over baseball ops, cleared out the remnants of Calvin Griffith's "organization" and brought in people from other organizations. One of those was Ryan, who became the scouting director. MacPhail modernized the Twins front office. Thirty years later, it probably needs modernizing again. Monday was only the beginning. Miguel Sano didn't play Sunday. 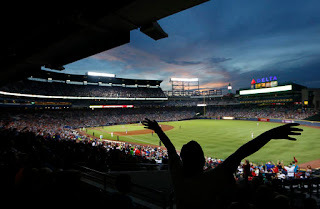 Given the short turnaround from a rain-delayed extra-inning game that ended after midnight and a 1 p.m. start, resting any regular was no surprise. But another reason for giving Sano the day off is his fielding. Since his return from the disabled list, Sano has been mainly a third baseman. An error-prone third baseman. Sano was charged with two errors Saturday. He was also charged with errors on Thursday and Friday. The big guy is fielding .854 at the hot corner on the season, with seven errors in just 137 innings at the position. Errors and fielding percentage are blunt tools for gauging defense, but it doesn't require a great deal of sophisticated analysis to see a problem here. Terry Ryan suggested Sunday that it's just a matter of Sano being rusty after a first half spent largely in right field and on the disabled list. That may be a factor, but I'm inclined to believe that he's simply not a very adept fielder at any position, including third base. To repeat myself from previous writings: there will never be a position at which Sano is the Twins best defensive option. If they insist on playing him in the field, if only to keep his weight in check, the question is: At what position does he hurt the team least? Their offseason evaluation was right field. Now it's third base. And I will note this: Even with all the errors, the Twins are 9-6 in Sano's starts at third base. It's only 15 games, but no real sophisticated analysis is needed to determine that that's a superior winning percentage to games in which he plays right field, designated hitter or sits. in the fourth inning of the All Star Game. 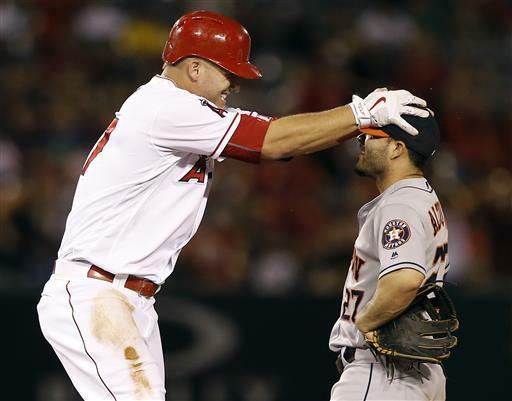 Another photo that demonstrates that Jose Altuve is a really short baseball player. And no, I haven't the slightest idea why Gonzalez has his spikes so high. "Hey, Jose, check it out! Green soles!" Mauer near the top of defensive first basemen? Frankly, I haven't seen that coming. The aforementioned metrics on BR are split. Total Zone Rating has him a bit below average; the Baseball Info System measurements (runs saved and plus-minus) solidly above average. The Sabr Defensive Index combines five metrics (including Total Zone and runs saved), so it's not an independent, reinvent-the-wheel attempt to measure defensive prowess. It's more an attempt to find consensus among the existing metrics. Everybody who does this kind of analytics is quick to add cavets, and one of them is small sample sizes. The SDI list above is just a half season. But Mauer, I think, is becoming a good defensive first baseman. It's just taken longer than I expected when he changed positions. San Diego shipped Drew Pomeranz, who was named to the NL All Star team, to Boston for prize prospect Anderson Espinoza, an 18-year-old pitching in low A ball. Baseball America rated Espinoza the 19th prospect in baseball during the offseason. That's a pretty solid pickup for a lefty who has already set a career high for major league innings. Pomeranz is reputed to have turned his career around by adding an effective cutter to his arsenal, giving him a third pitch. It's quite possible that he is indeed now a better pitcher than he was a year ago; it's possible for a pitcher to add a pitch, discard a pitch, change his arm angle slightly, change his stride -- do one thing differently -- and have that make a huge difference. But I am habitually suspicious of pitchers who thrive in San Diego and Petco Park and then move elsewhere. Environment matters, and the difference for a pitcher between Petco and Fenway is huge. Beyond the wisdom of this deal: This trade may affect the asking price for other starters. There are reasons to value Pomeranz over, say, Ervin Santana -- youth, contract, upside -- but there is also reason to believe that Santana is the more reliable starter. Espinoza may well be the top prospect dealt this month, but that he moved at all may prompt the Twins to raise their sights on Santana in the next two weeks. The Twins formally released Kevin Jepsen on Monday, which means they were unable to find a taker for the remains of his $5.31 million contract. Shocking, ain't it? Meaningless but odd: Last year, in his 28 innings with the Twins, Jepsen had an ERA of 1.61. This year, in 30.2 innings, 6.16. Sixes and ones ... 161616. I assume somebody will pick up the veteran now that he's a free agent for about a 10th of what the Twins are paying him. He still has his velocity. Meanwhile, the Twins are deep into a Plan B (or lower) bullpen. Remember, they were going to have a late-inning corps of Glen Perkins, Jepsen, Trevor May and Casey Fien. Perkins is out for the season, Jepsen released, Fien waived to the Dodgers and May sidelined by back and hip issues. If things develop this month as I hope they do, May could (should) transition back into a rotation role. I certainly never imagined when watching Brandon Kintzler work in Fort Myers that I was watching their future closer. Jepsen leaves with seven saves on the season, which still tops the team stats, but Kintzler has five and will certainly pass Jepsen -- unless he gets traded. Goldschmidt in the ninth inning. Eduardo Nunez, the Twins' token All-Star, didn't get an at-bat Tuesday night in San Diego, but he did serve as the pivot man on the game-ending double play. One selling point for Nunez to be the Twins selection for the AL roster was his versatility. Even with the bloated rosters, the manager are encouraged from on high to have at least one multi-position guy. For the American League this year, that was Nunez. That he played second base in his limited action Tuesday was ... interesting. He's played five games at second base this year, starting four of them, for a total of 32 innings. That's a fraction of his playing time at third base (27 starts) and shortstop (38). But second base is where Ned Yost put him Tuesday. And ... well, I'm engaging in pure speculation here, but Yost's team released its "regular" second baseman (Omar Infante) a couple weeks ago. Might Yost have put Nunez there out of his need in his day job with the Kansas City Royals? Might the Royals come a-calling on Terry Ryan this month with the intent of acquiring Nunez for second base? In 2014, Kurt Suzuki hit the All-Star break with a slash line of .309/.365/.396. He was named to the All-Star team; more important, it got him a contract extension a couple weeks later. Today, Suzuki has a slash line of .294/.332/.447. Yes, his OPS at the break this year is actually higher than his OPS at the break in his career year 2014. Maybe it's the ax-handle bat, maybe it's the reduced playing time, maybe there's no real reason -- but he has hit. His season has been a model of inconsistency. Through May, he was slashing .212/.266/.293, which is release-bait production. June and so far in July, he's slashing .378/.402/.602, which is MVP-caliber production. Obviously, Suzuki didn't get an All-Star bid this year. But his resurgence, and the Twins' continued organizational issues with catchers, poses something of a dilemma for the decision makers. Suzuki is 32, turns 33 in October. He has a vesting option for 2017 that kicks in if he reaches 485 plate appearances, and he is nowhere near being on track to get that much playing time. So he's destined for free agency after the season. John Ryan Murphy, theoretically heir to the catching job, not only hasn't shoved the veteran aside this year as expected, he's hitting .204 in Rochester. I don't know what the trade market is like for Suzuki this month. There may be a contender that sees him as a significant upgrade over their current catcher and is willing to pay for him. I am confident that the Twins regard him as better than their current catching choices not only for 2016 but 2017. Keep him or trade him? Obviously the answer depends on the return. There are veterans on this roster the Twins can justifiably move at a discount because doing so will open time for younger players. Suzuki is not one of them. Yet betting on a 33-year-old catcher to continue to hit at a career-high level is unwise. Suzuki may prove a yardstick of sorts to how intently Terry Ryan and Co. intend to reshape this roster by the trading deadline. brings his grand slam home Sunday. Max Kepler hit his eighth homer of his major league season Sunday. Considering that his minor league high is nine, and he's clubbed these eight four-baggers in less than 170 plate appearances, it's a logical question: What's going on here? Some players arrive with an obvious shape to their futures. 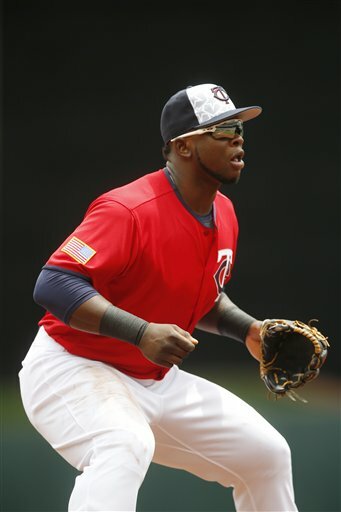 Kennys Vargas, for example -- you can look at him and know he is not destined to be a leadoff hitter or a shortstop. Some show up with a lot of possible templates and directions, and Kepler is one of them. He's tall (listed at 6-feet-4). Right now he's slender (listed at 205), but you can imagine him bulking up. He is graceful and athletic, as one might expect from the son of two high-level ballet dancers (his mother is from Texas, his father from Poland, and they met and married while dancing in Berlin). And, because Kepler was raised in Germany, he wasn't exposed to a high level of baseball until the Twins signed him -- in the same summer as Miguel Sano and Jorge Polanco -- and he came to the United States. I'm not sure Kepler really has a right fielder's throwing arm, and I'm quite sure he's not going to dislodge Byron Buxton from center field. He's had some elbow issues in the past, and if they flare up again he might wind up at first base. But there's a wide range of defensive positions that could be in his future: Center if Buxton fails, right field (his current spot), left field, first base if his arm fails. As a hitter, who knows? This power outburst may be sustainable even though he's never hit like this before. He's just 23 and he was starting from a low baseline of experience. His breakout minor league season last year in Chattanooga (Double A) featured a high average with gap power; this year that gap power is translating into over-the-fence power, but he hasn't hit for the impressive average. It isn't easy to discern his template, but it also isn't necessary. He'll develop that, and we'll just get to enjoy it. have violated the new rules on double-play slides. 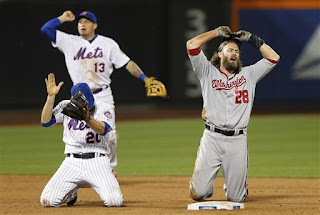 This play was followed by a shouting match in the hallway between the Nats general manager and the umpiring crew chief, with Mike Rizzo (the GM) telling Jim Joyce (the umpire) that he blew the call. The claim by the Nationals that nobody knows how to slide on force plays at second is bogus. Slide into the base, stay on the base, don't take a swing at the pivot man. It's not brain surgery. 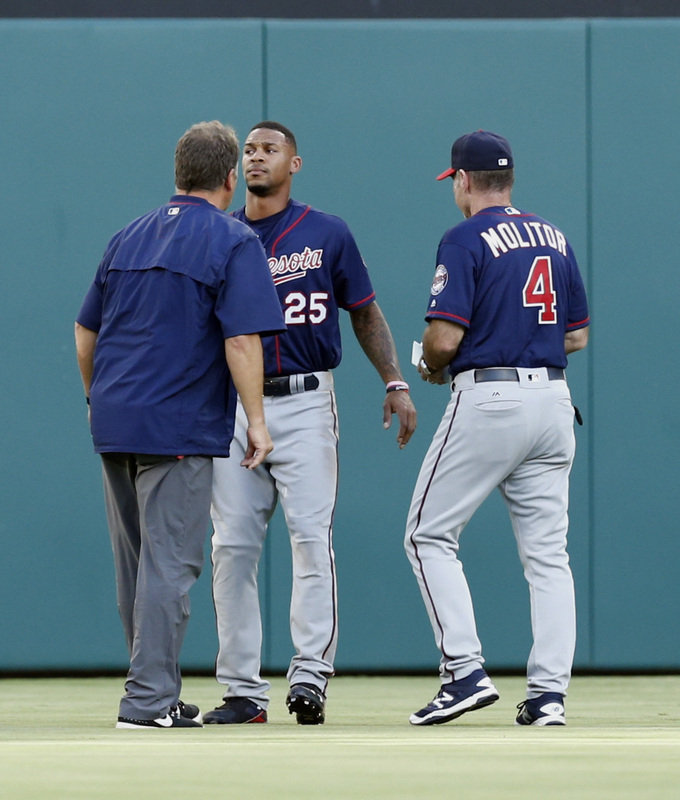 Even if the initial diagnosis of "right knee contusion" proves accurate upon further examination, I don't expect Byron Buxton to play again this weekend. There's tonight, and Sunday, and then the All-Star break, and he might as well let things heal. I do wish he's stop running into walls. There are a few players who seem capable of that without damaging themselves, but the wall wins pretty consistently. He's had a longer and more difficult transition into the majors than I expected, but he's been showing signs of late that he's catching on. Now he's just got to stay in the lineup. Neil Allen returned to his job Thursday as Twins pitching coach, and a sincere hooray for that. I've no sound basis for judging the quality of his work as a pitching coach. I'm happy to see him back at his job because it indicates that he's got his life back in order and his disease back under control. His disease, of course, is alcoholism. He had been sober for more than two decades, then relapsed and got caught driving drunk on May 26. "They" being Jim Pohlad, Dave St. Peter and Terry Ryan, the Twins owner, president and general manager respectively. Allen spent five weeks in treatment at Hazelden. His legal case is far from finished. And alcoholism is always going to be there for Allen. He knows that, the Twins know that, we know that. May it all work out well for him. Quite the game Ervin Santana pitched Wednesday afternoon: A two-hit shutout in which he faced just one batter over the minimum. That's a 1.62 ERA over four starts, 27.2 innings. Before that binge, I noted that Santana has had a few clunker seasons with 5-something ERAs and surmised that this would be another such, but he's now got the ERA down to 4.06. The next best ERA of the nine men to have started a game for the Twins is Kyle Gibson's 4.82. We can nitpic this streak. The Yankees and A's are two of the lowest-scoring teams in the American League this year, and Wednesday's gem exploited a weary lineup (the noon start was about 10 hours after the end of Tuesday's rain-delayed game). But a 1.62 ERA is a 1.62 ERA. There's been a bit of chatter about the high-level scouts appearing at Target Field during the just-completed homestand, and Terry Ryan has been rather blunt about his intent to make trades this month. Santana might be as appealing a piece of trade bait as Ryan has to offer. A commenter Wednesday urged Ryan to "sell high" on Santana. I don't know that the return on him gyrates all that much start to start. He is who he is: a 33-year-old whose ERA and other stats (excepting the won-lost record) this year is pretty much in line with his career averages with two more seasons on his contract. The price for him may change more by perceived need and opportunity. Maybe the All-Star break is the best time to move him; maybe later in the month will be better. We don't know for sure, and neither does Terry Ryan, He at least knows what the market actually is today. Tuesday's game didn't start until almost 10 p.m., thanks to a wave of storms and the whims of the schedule, which has Oakland in Minnesota only the once and a get-away nooner set for today (and no TV). While there was no end to the social media griping about the lengthy delay, there was never any serious question -- the players, umpires, management and broadcast outlets wanted to get this one in. A doubleheader today would have made travel difficult for both clubs (and the forecast is for more humidity and storms). For those who stayed up to watch -- I was working, so that wasn't an issue for me -- it was worth the while. 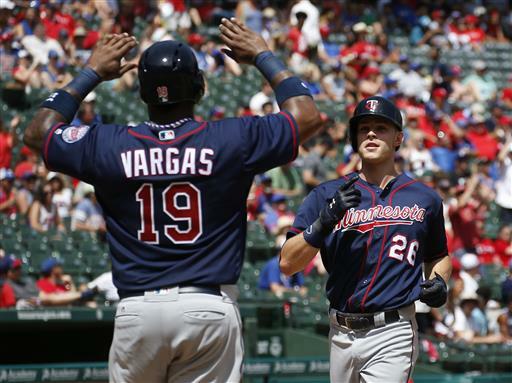 Tommy Milone had his best start of the season -- six innings, one run -- Kennys Vargas and Max Kepler hit back to back homers, Miguel Sano homered to the opposite field, and newly minted All Star Eduardo Nunez had a pair of hits. The performances of Vargas, Sano and Nunez particularly struck me because of a voice mail I found on my office phone when I arrived Tuesday, a fellow who thinks I should write about how the Twins are playing too many Latin players and are too eager to trade away the white guys "who can speak." No, I don't think I'm going to make that argument. Not even close. No holiday in Twins transactions this past weekend. Reactivated from the disabled list but outrighted to Triple A: Darin Mastroianni. All told, the Twins have cut down from 13 pitchers to 12 on the active roster. That might suggest that they've grown comfortable with the starters' ability to go six-plus innings, but I suspect that this has at least as much to do with the All Start break coming in less than a week. May: I suggested in the Monday print column that the Twins might be well advised to return May to the starting rotation. Right now they have every slot filled, and Jose Berrios is probably ahead of May if a rotation spot opens. May rehabbed for relief work, and that's the plan. Supposedly May has shortened his stride during his delivery to reduce the strain on his back and hips. We'll see how well that works. Plouffe: Out, they say, for three to four weeks with a cracked rib. In the short term, it opens third base for Miguel Sano, but it also probably keeps Plouffe from being traded this month. Which means that, when Plouffe is healthy again (or at least sound enough to play) there will be two third basemen on the roster. At least this will give his wonky groin a chance to heal. Mastroianni: It was easy to forget that Mastro was officially on the active roster, but he was hitless in nine official at-bats. He has the right to opt out of his contract, but he's expected to forgo that and remain in the organization. Rosario: Optioned out because pitchers were exploiting his inability to gauge the strike zone, he hit .319 and slugged .538 in Triple A. He also drew just seven walks, which suggests that Triple A pitchers aren't good enough to exploit his free-swinging ways -- which further suggests that he's going to have to learn at the major league level. Question: Where do his at-bats come from? He played left field on Sunday and Monday. Robbie Grossman was the DH in one game and sat the other. Presuming Byron Buxton and Max Kepler are to be in the lineup (and they should), Rosario and Grossman will be dueling for left field time. Vargas: The big switch-hitter was, according to the radio guys Sunday, leading the International League in RBIs when called up. Statistical luddite Dan Gladden finds that significant. Those of us with a better understanding of how to interpret the stat line don't. This might be Vargas' last chance with the Twins. They have plenty of DH alternatives, and I have to believe Byung Ho Park still ranks ahead of Vargas in their long-range thinking. And the DH slot offers a chance to feed at-bats to one of the young outfielders, so his opportunities may be limited. Boshers: Never thought I'd be irritated to see him sent down, but he has a 1.38 ERA in 13 innings with 14 strikeouts. His demotion flies in the face of the Greg McMichael Rule (If you get outs, they'll find a role for you.) He got outs, and he's going back to Rochester. For now. He'll be back before August, whether to fill a gap created by a trade, an injury or because they need to go back to 13 pitchers. Boshers lost the job not because he failed, but because he was a spot with roster flexibility. The Twins designated Kevin Jepsen for assignment Sunday. We've been through this routine recently with Oswaldo Arcia; the DFA'd player comes off both the 25-man and 40-man rosters immediately but the Twins have 10 days to dispose of the contract. I have nothing good to say about Jepsen's pitching this season. He was every bit as bad as his 6.16 ERA suggests. Of course, he was very good last season when the Twins really needed somebody to step up in the late innings. The Twins twitterverse the past week or so had a number of people bemoaning and second-guessing last year's trade in which the Twins surrendered Chih-Wei Hu and another minor leaguer for Jepsen. At the time I pronounced myself lukewarm about the trade, and by the offseason deemed it the right thing to have done even though the Twins missed the playoffs. Today it's more difficult to defend the trade. Hu is having a fine season at Double A and is to pitch for the World Game in the Futures Game on Sunday. And Jepsen ... well, the Twins are going to pay him more than $2 million not to pitch for them the rest of the year. But had the Twins not made that trade, the same people complaining today about giving up Hu would have been complaining last year about the lack of a move. The Twins took a risk in hopes of making the playoffs. Jepsen did what they needed him to do in 2015, and they still missed. Jose Altuve's been around a while, but every once in while I see something that reminds me just how short he is. He's listed as 5-foot-6. This may be an exaggeration. He's a blinkin' good ballplayer anyway. Miguel Sano was reactivated Friday after missing the entire month of June with his pulled hamstring. Byung Ho Park was optioned out to make room for Sano. No surprise there. Park's numbers were sinking fast. He hit .136 in June and had three times as many strikeouts as hits. The truly noteworthy news from Sano's return was Paul Molitor's declaration that Sano was going to DH and play third base. Outfield? Only in an emergency, said the manager. This more or less echoed what Terry Ryan said almost two weeks ago in a radio interview. And on Friday night, Sano played third and Trevor Plouffe was the designated hitter. Sano made a sparking bare-handed grab-and-throw on a nubber, and got lost on a popup that shortstop Eduardo Nunez grabbed. It's fairly awkward. Plouffe is the more reliable defender at third, but as the song says, you don't need a weatherman to know which way the wind blows. Sano is going to be the third baseman sooner or later, and probably sooner. Rayns has promised trades this month, and I expect Plouffe will be one of those departing. I doubt there will be a significant return; the advantage for the Twins would be opening third base for Sano -- and reopening DH for somebody else. Like Park, assuming he figures something out in Triple A. 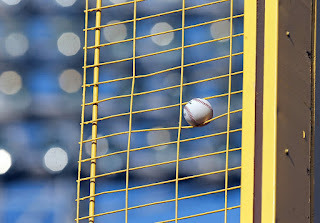 This week a pair of congressfolk, one a Republican and one a Democrat, introduced legislation grandly entitled Save America’s Pastime that would preempt a lawsuit in California that argues that minor league players are paid less than minimum wage. The news release announcing the legislation implies -- falsely -- that minor league teams bear the burden of player salaries. They don't; it's the major league organizations. And the bill was so roundly mocked on Twitter by people who actually understand the economics of baseball that the sponsoring Democrat abandoned the legislation the next day. I can't wait to get started on the 2017 Baseball America Short-Term Seasonal Apprentice Handbook. That "short term seasonal apprenticeship" you know, where a team owns you for six years and can pay you below the min wage the entire time. I've never attended an MLB draft pick's signing when a team mentions a kid starting his "short-term seasonal apprenticeship" in the minors. Major League Baseball on Thursday sold a chunk of MLB Advanced Media (specifically its web streaming operation) to Disney -- which also owns ESPN -- for $3.5 billion, and Disney also gets an option to buy the majority of Bam Tech. I won't pretend to understand what this means for us fans, other than knowing that it's added evidence that Disney/ESPN is worried about the slippage of its business model (as it should be). But even divvied up among the 30 teams, $3.5 billion is a pretty sizable windfall. And yet the commissioner's office goes into convulsions at the thought of a Class A player having a livable income. The Twins switched their Double A affiliation a couple of winters ago from New Britain (Conn.) in the Eastern League to Chattanooga in the Southern League. At about the same time, the New Britain club announced it was moving operations to a as-yet unbuilt park in neighboring Hartford and rebranding as the "Hartford YardGoats." The stadium project has been a complete mess, and work on the stadium was halted about a month ago as the city and the contractor fought over responsibility for the fiasco. It appears that the YardGoats won't actually play a game in Hartford all season. Meanwhile, the city is spending more than $6,000 a day to post a fire department detail on the unfinished stadium to make sure it doesn't burn down (it lacks a working sprinkler system). The Twins got out of that on just in time.